The Major Project is the primary program which is overseen by a committee of the California-Hawaii Elks Association that pledges its commitment to addressing the unmet needs of children with disabilities throughout the states of California and Hawaii by developing a program of supporting services to aid these children at no cost to their families and without discrimination. 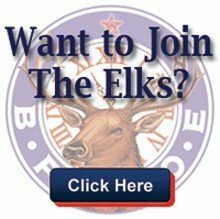 California-Hawaii Elks support and sponsor various fund raising activities for kids of all ages including Scouting, Hoop Shoot, The Dictionary Project for 3rd Graders, Drug Awareness Program, Americanism Essay Contests and Scholarships. CHEA assists our country’s Veterans: as Elks we are committed to those that have fought for our freedom and the future of our country. Get Involved TODAY to ensure the legacy will carry on tomorrow.